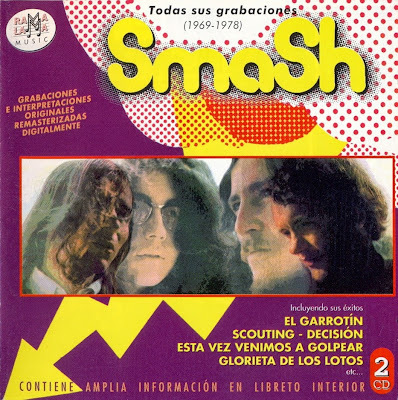 Smash formed in Sevilla in 1969 and soon caused a revolution in the local rock scene (paving the way for later local groups such as Gong, Galaxia and Triana). Glorieta De Los Lotos (1970) contains basically a heavy blues sound, influenced by the recent British blues boom (and notably The Rolling Stones' Beggars Banquet and the first Led Zeppelin album). This was softened by vocal harmonies learned from The Beatles and some acoustic tracks in a folk-rock vein. Smash sometimes added vibes, harpsichord, violin and odd Spanish lyrics to make the tracks more interesting. "Sitting On The Truth'' and "Rock And Roll" sound more like loose jamming with aggressive guitars and screaming vocals. Indeed this album is quite strange and difficult to put in any particular category. We Came To Smash This Time (1971) was divided between Gualberto's weird sitar excursions ("Behind The Stars") and the melodious but ordinary folk-rock of Julio Matito ("My Funny Girl"), adding some literally smashing hard-rock ("Well, You Know"). They all came together for the massive hard rock mayhem of "Fail Safe" (10:29), which equalled the agony of "Heiter Skelter". They went their separate directions in 1972, with Gualberto embarking on an exciting solo career. Smash came together again five years later in a slightly changed line-up. 25 minutes of new material was released on a split LP. 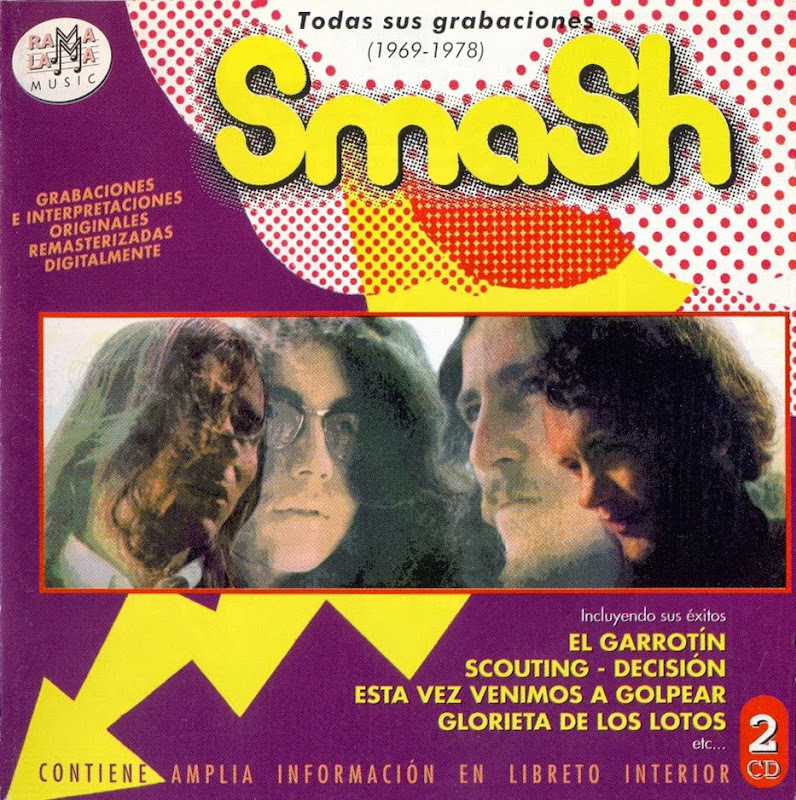 Here Smash partly went back to their heavy blues-rock roots, but Gualberto's new interest in flamenco was also evident on certain tracks. The rest of the album was recorded by a flamenco singer.